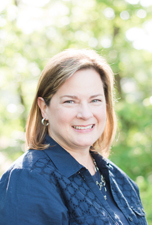 This post was adapted from a conversation with Heidi Wyma and NoveList's Customer Engagement Coordinator, Kathy Lussier. 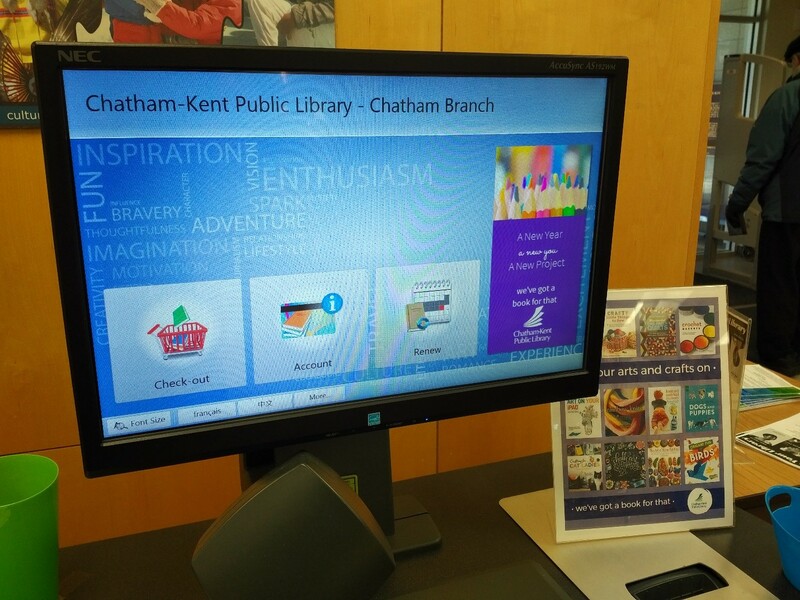 Chatham-Kent Public Library (CKPL) in Chatham-Kent, Ontario, is one of three recipients of the Engaging Readers at Your Public Library grant. 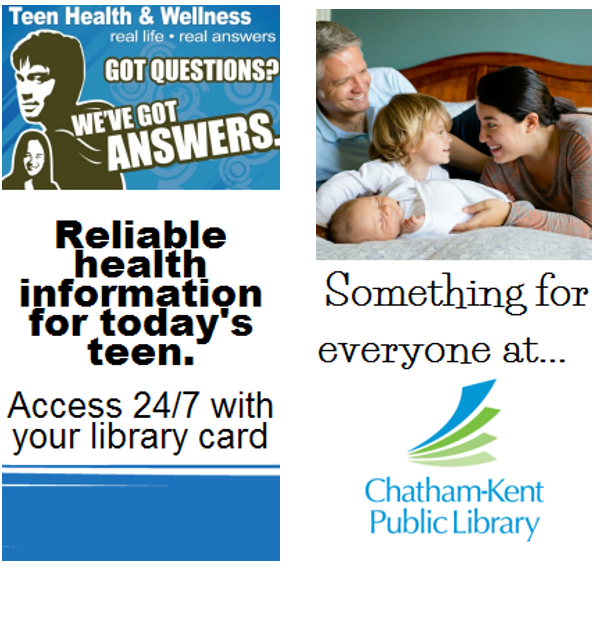 CKPL’s 11 locations serve 103,000 residents in the Municipality of Chatham-Kent in southwestern Ontario. Last year nearly 360,000 people visited CKPL libraries. 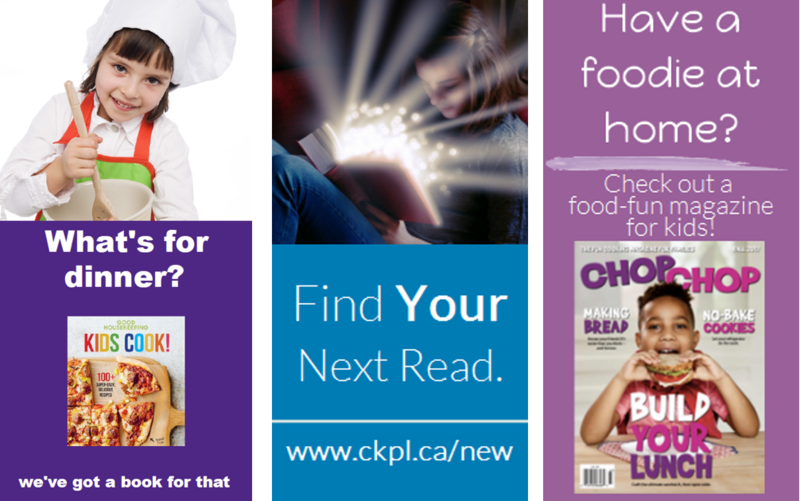 Earlier this year, CKPL completed a four-month campaign to engage patrons and energize staff in reading, watching, learning and playing with CKPL’s collections. Through a series of visually appealing and fun marketing promotions using both traditional and non-traditional marketing channels, library staff challenged library patrons and non-users to rediscover their library. The campaign was supported by an Engaging Readers at Your Public Library grant from NoveList and LibraryAware. 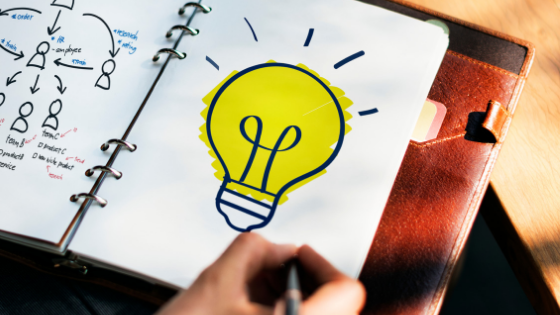 We recently chatted with Manager of Support Services Heidi Wyma about one of the innovative ideas her library tested during this campaign that you might want to try at your library. What were your goals for your campaign and how did you get started? CKPL was excited to receive the LibraryAware grant to engage readers! This was a perfect complement to help us achieve a boost in awareness about collections and the public library in general. To begin, CKPL Administration met with selectors to share ideas. The group developed a weekly schedule for promotional campaigns and brainstormed ideas about which collections we wanted to promote. There were lots of ideas, and opportunities tied into timely themes corresponding with things like Earth Day, Women’s History, Winter Olympics, Oscar Winners, and National Poetry Month. Our initial idea was to share our marketing campaigns on multiple platforms including print (posters, bookmarks, and shelf talkers) and digital (social media, television monitors/digital posters) and express checkouts. The plan was to do a multi-format blitz every week with the goal of trying to catch folks where they are and capture their attention while they check out their materials. What compelled you to add promotions to your self-check screens? What problem/challenge are you solving with this? Why would this be helpful to other libraries? We had experienced a slight decline in both circulation of and holds on CKPL’s physical collections in 2017 and wanted to use every tool at our disposal to turn that trend around in 2018! Our goal was to catch the attention of users at every point of contact with the library – inside and out – and the express checkouts were on the list, along with posters, shelf talkers, bookmarks, TV monitors (digital advertising at the circulation desk), website and social media. Thirty-five hundred people use our express checkouts every month! Since staff aren’t there to “sell our product” at the express checkouts, we rely on other strategies to bring attention to other resources and programs the user might like. The software on our express checkouts was designed to have a marketing component and using Library Aware made it easy to fill that spot. How did LibraryAware help you create these promotions? We set out to promote a different subject area or collection each week for four months – a bit ambitious perhaps, but we had received a grant from LibraryAware to put our plan into action so off we went! Our selectors each took their subject area and created marketing that would pique the interest of potential users. The beauty of LibraryAware is the ability to take one idea and translate it into multiple formats --using the same taglines, graphics, etc. How was the experience of creating the widgets in LibraryAware? How much time did it take? It took us a little time to figure out exactly how to create widgets in LibraryAware that we could use for our express checkouts. We created widget slides using the 1:2 Large self-checkout widget container (ideally our promotions needed to be 400 x 800 pixels). There were quite a few templates to choose from as a starting point. Some templates were easier to work with than others for importing graphics and changing up the text. The widget templates aren’t yet drag and drop so it can take a bit of trial and error to make them look like promotions in other templates -- hopefully there will be some drag and drop templates for this format soon! We used the 16:9 TV monitor widget container for promotions on our digital displays behind our circulation desks. Anything bigger and the resolution would need to be higher. Once you create the widget, then what do you do? Our express checkouts come with self-check system manager software that allows us to upload and schedule promotions. This can be done remotely by one person for all branches as all our express checkouts are connected to Wi-Fi. It made for an easy rollout of our weekly promotions. Why do you use LibraryAware versus making them on your own in another program? We use LibraryAware so that our promotions have a consistent, professional look and proper branding. Access to professional stock photography that is relevant for libraries is key – and not just pictures of books on a shelf. We’ve been advised that having people in our marketing is inviting and this is also where it is great to have good stock photography – LibraryAware provides well-posed shots taken by professional photographers and no photo releases necessary! Being able to effortlessly incorporate cover art into the promotions is the cherry on top! How often do you add new widgets? During our New Year, New You campaign, we added new widgets every week. We try to make sure we have five to eight widgets on the express checkouts at a time (they cycle through every five seconds or so) – patrons don’t spend a lot of time at the express checkouts so we don’t need more than that. New material is added at least once a month depending on what programs and resources we are highlighting. What programs, books, etc. have you promoted? Have any widget slides been particularly successful? We use the express checkout widgets to promote our NextReads newsletters, which launched at the beginning of the year. It works well to promote our CK Reads (one book, one community) title every year too! TD Summer Reading Club, our Literary Angels program, the CKPL Shop, digital collections, Play Packs, kids’ magazines, nutrition and fitness resources, author visits, ID clinics … we’ve used the express checkouts to promote many things! Is this something you plan to continue doing? Yes! CKPL staff successfully created fantastic campaign materials that were very creative, engaging and tied into collections. With LibraryAware, we were able to leverage the same promotional ideas across multiple formats, marketing the same collection each week in different ways (posters, TV monitors, express checkouts, social media) and catching people where they are. Being able to reuse the same material for posters, shelf talkers, TV monitors, express checkouts etc., is consistent, efficient and saves staff time.